At your first visit we take the time to really understand your health concerns, and your health goals. 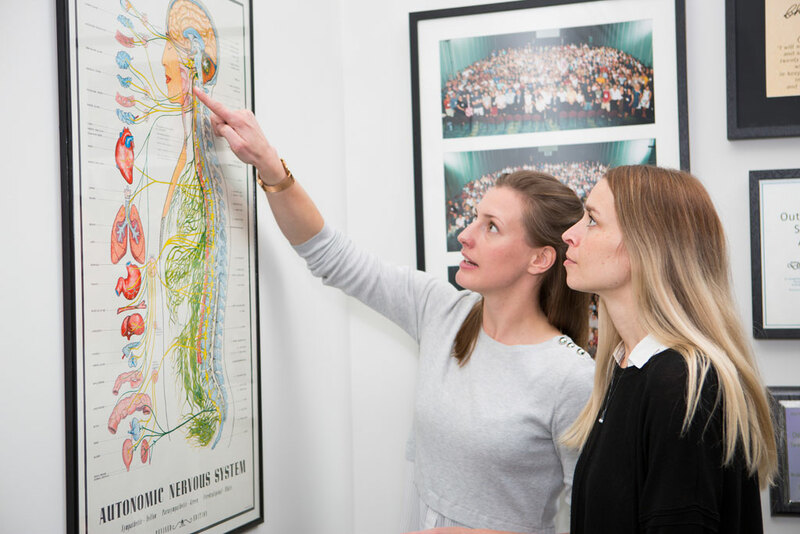 If we believe we can help you, we will conduct a thorough examination and detailed assessment of your spine and nervous system. If required, x-rays can be done, on site, at this first visit. We listen carefully to understand your needs, and design a program to get you on the right track, and on top of your game, as quickly as possible. You should allow one hour for your first visit. Your second visit is an opportunity for us to clearly explain the findings from your examination and what they mean for your health. We then outline our recommendations for you. We place a high value on you being fully informed about all aspects of your situation, and allow ample opportunity for discussion and any questions you may have. Your chiropractic care usually begins at this point, and you should allow 45 minutes for this visit. Our goal is to provide you with extraordinary service and amazing results. 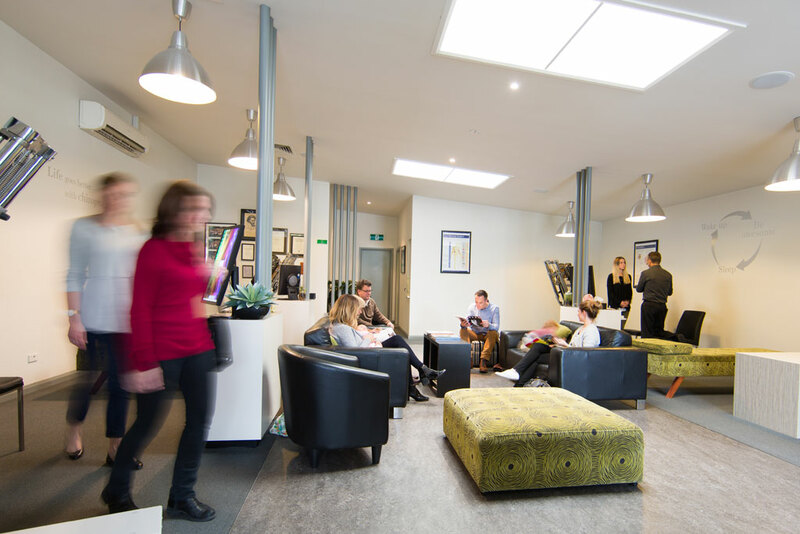 At your regular visits we welcome you into our relaxed, open and friendly space, where you can enjoy a moment to yourself before your adjustment. We have a children’s area, plenty of magazines and health-related reading material, and friendly faces to chat with. Our equipment is state-of-the-art, and our chiropractors have extensive clinical experience, tailoring their techniques to your individual needs. So, you can relax, knowing you are in good hands. Regular visits usually take between 5-10 minutes, however sometimes an extended visit is required for extra assessment. If you have children, we welcome you to bring them in with you. Different people have different goals, in health and in life. Our aim is to help you understand your options, and guide you towards the choices that will best suit you and your needs. How long you wish to benefit from chiropractic care is always up to you. Our goal during this time is to begin correcting your subluxations and improving your nervous system function as quickly as possible. Depending upon the acute or chronic nature of your situation, visits during this time are usually frequent, sometimes up to 2 or 3 times per week in order to achieve rapid and significant change. Once your situation has stabilized, you then have opportunity to correct underlying problems and learn ways to prevent recreating problems in the future. A more robust nervous system and improved tissue regeneration is the goal here. Visits during this time are usually weekly or fortnightly. Wellness care is a proactive approach to maintaining a healthy nervous system and spine throughout your lifetime. This ultimately allows you to bring your best (most healthy and connected!) self in to the world. Many of our clients who have completed corrective care choose this approach for themselves and their families. Wellness care can vary from weekly to monthly visits, depending on your lifestyle stresses and goals.